This material comes from WebMD’s site: Please visit the original page here. Post-traumatic stress disorder — or PTSD — is a condition in which one’s life has been disrupted by an actual or perceived event that was life-threatening or violent or posed a risk for serious injury. Efforts to avoid any people or activities that may arouse recollection of the trauma. If you’ve suffered a traumatic experience, it’s best to seek help from a mental health professional. Don’t wait for symptoms to appear. If you are having symptoms of PTSD, you don’t have to keep suffering. Seek help from a mental health professional. Treatments are available. 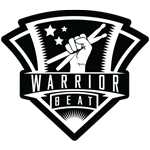 Warrior Beat can not and does not offer medical advice. If you feel you may be suffering from PTSD please consult a qualified doctor. If you are feeling suicidal or in crisis, we strongly urge you to call 911 immediately. You’re life is important.